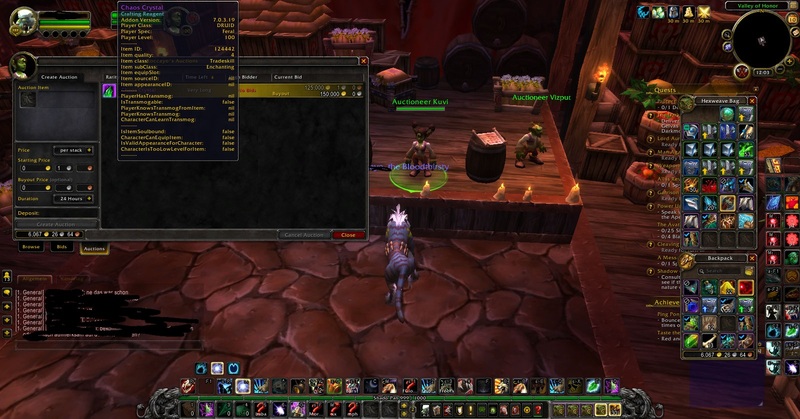 Hey guys, bringing you another wow gold farming method. During the new event you can level the Demonhunters in broken shore scenario quest and you can get an Epic quality upgrade from the rewards just like Draenor when your quest rewards gets upgraded. If you disenchant them, you get Chaos crystals. I am posting them at around 150k at my AH right now. Now I know you might be thinking But, quest rewards are Soulbound how do I disenchant those epics into Chaos crystal. Edit: guys I posted this method during the pre patch, chaos crystals are selling for cheap now, read some other methods posted here daily. it got Fixed pretty fast tho! This is an awesome find. GJ!